1. Now click the right mouse button and choose Object Properties. The 'Text Frame' dialog appears. 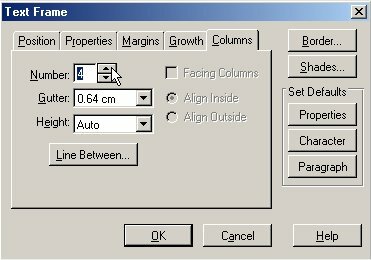 Click on the Columns tab, and change the number of columns to 4. Hit OK.
4. 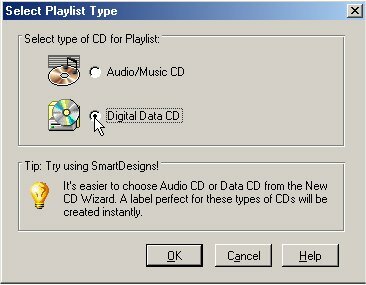 On the 'Select Playlist Type' screen, choose Digital Data CD. Then hit OK.
5. The 'Insert Field' dialogs appears. 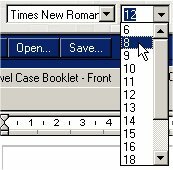 Choose File:Name, and click Insert. Now click Close.